Hudson Group, which operates Hudson, Hudson News and Hudson Booksellers stores in airports, commuter terminals, hotels and elsewhere, is opening a bookstore in the new Terminal B in LaGuardia Airport in New York City with McNally Jackson, which has bookstores and book-related gift stores in Manhattan and Brooklyn. 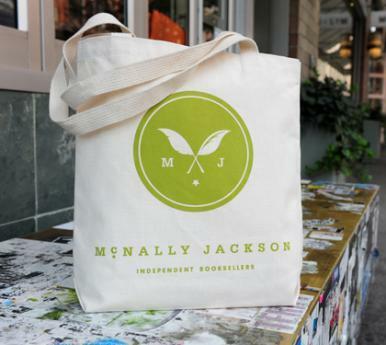 Calling McNally Jackson "New York City's iconic independent bookseller," Hudson Group said the move "will bring the epicenter of New York literary culture to Queens." Hudson Group has similar joint airport relationships with other independent bookstores, including Elliott Bay Book Company, Seattle, Wash.; Parnassus Books, Nashville, Tenn.; Vroman's, Pasadena, Calif.; Tattered Cover Book Store, Denver, Colo.; and Bookworks of Albuquerque, N.Mex. Terminal B is replacing the Central Terminal Building and opening in stages beginning this fall. Its construction is part of an $8 billion overhaul of LaGuardia. The new terminal will include 35 gates and more than 25 food and retail businesses, including FAO Schwarz (also in association with Hudson) and Shake Shack, as well as a general Hudson shop, the LaGuardia Dufry Duty Free and MAC. Hudson Group president Joseph DiDomizio noted that the company "opened our first Hudson News at LaGuardia Airport in 1987. We are proud of our 'Big Apple' roots and we are thrilled to grow our longstanding partnership with such an amazing partner." Bull Moose, the new and used movies, games and music retailer that also sells books at seven of its 12 locations across Maine and New Hampshire, will add a book department to its Lewiston, Maine, location this fall. The store, which is located in the Lewiston Mall, will move to an 8,000-square-foot storefront in the same mall, a space that once housed a Pet Life. The new store will have a direct entrance from the parking lot, and Bull Moose will devote around 2,000 square feet to a book department. Since about 2010, bookselling has become an increasingly important part of Bull Moose's business. Chief financial officer Chris Brown explained: "Books give people one more reason to visit us. Many of our stores are in smallish towns that wouldn't have a bookstore without us. It's almost like we have a responsibility to make sure books are available locally." 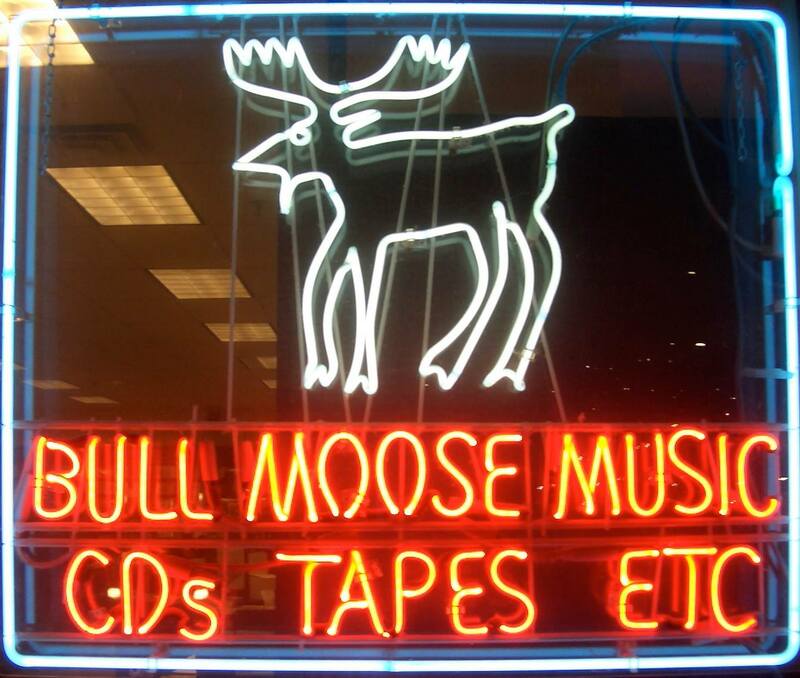 Bull Moose was founded by a junior at Bowdoin College in 1989. Today it has more than 150 employees. 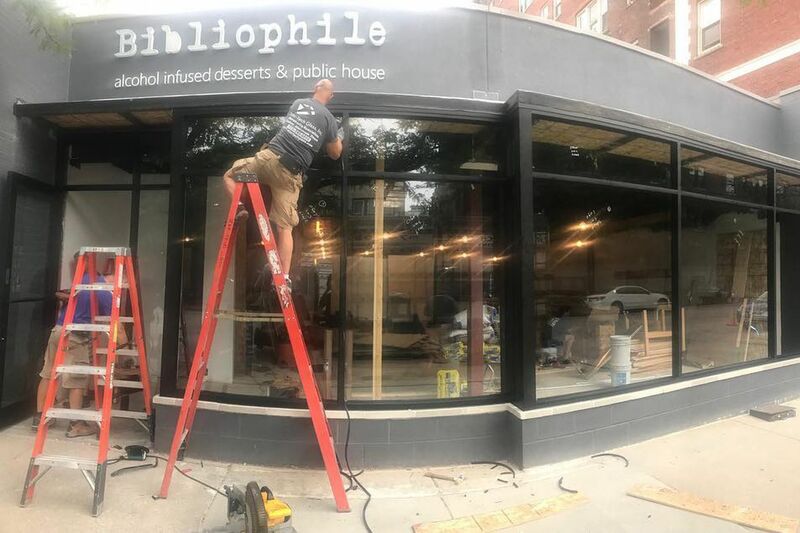 Bibliophile, a combination bookstore, gastropub and boozy bakery, is opening in Chicago's Hyde Park neighborhood in early September, Eater Chicago reported. While details on the selection of books were scarce, Bibliophile will have a full bar, a restaurant with fare like shrimp and grits, and "boozy desserts, like a lemon pound cake with limoncello drizzle." Bibliophile is owned by Brennan Nichols and Michael Scott Carter. Carter is also the owner of Fabiana's Bakery, which opened in 2015 and is located down the street. According to Eater, if Bibliophile takes off, the co-owners plan to open "as many as 16 similar bars across the country and Canada," with Toronto as a likely first stop. Carter explained that they would adjust the Bibliophile name and concept to suit each new location. "Lots of people like to have a cocktail and read a nice novel just to relax," noted Nichols. Shambhala Publications' new children's imprint, Bala Kids, announced last year, will make its debut in spring 2019. Named for the word meaning both "child" and "strength" in Sanskrit, Bala Kids is dedicated to "supporting the next generation through the development of wisdom and compassion." The imprint will be led by Ivan Bercholz, publisher, and Juree Sondker, editorial director. Bercholz is the son of Shambhala Publications founder Sam Bercholz, and with his sister Sara Bercholz, is the second-generation owner of the company. Sondker joined Shambhala Publications as an editor in 2016. Bala Kids' inaugural list will include Everything Is Connected, a picture book by Jason Gruhl and illustrated by Ignasi Font; Where's Buddha? by author and illustrator Marisa Aragón Ware; and Sitting Still Like a Frog Activity Book, based on Shambhala's meditation book for kids Sitting Still Like a Frog by Eline Snel. Founded in 1969 with headquarters in Boulder, Colo., Shambhala Publications publishes a variety of titles pertaining to Buddhism, wellness, spirituality and more. A memorial ceremony for Judith Appelbaum, the author, book marketer, editor and book industry expert who died July 25, will be held on Saturday, September 22, 3-5 p.m., at the Hudson Guild Elliott Center, Dan Carpenter Room, 441 W. 26th Street, in New York City. The memorial will begin with a program where a few family, friends and colleagues will speak. Light refreshments will follow. To honor someone who helped so many books reach so many readers, guests are encouraged to bring a new or gently used copy of a favorite book to leave for someone else to take and enjoy. Anyone wishing to make a donation in her memory may contribute to United Neighborhood Houses or the Sister District Project, or to a cause or charity of choice. Please RSVP here by September 14. 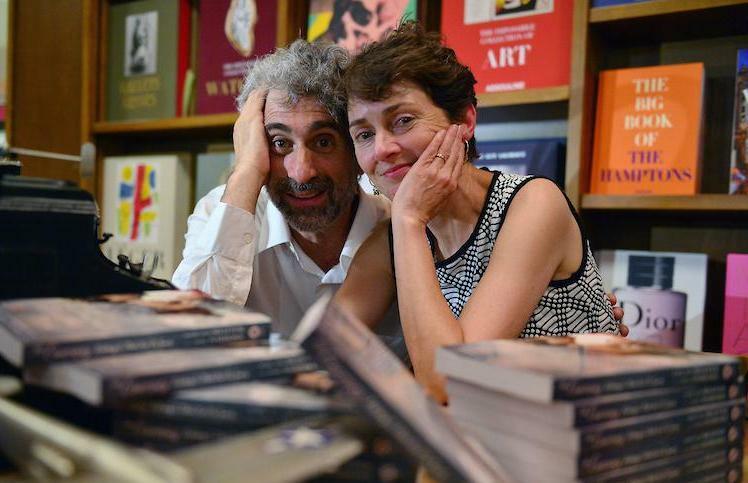 On Monday, Books & Books, Coral Gables, Fla., hosted a screening and party for The Guernsey Literary and Potato Peel Pie Society, adapted from the novel by the same name by Annie Barrows and Mary Ann Shaffer; Books & Books owner Mitchell Kaplan (above, with Barrows) is one of the movie's producers. The film premieres on Netflix tonight. 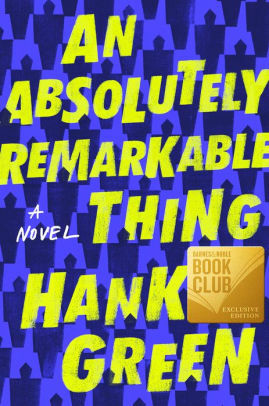 Hank Green's debut novel, An Absolutely Remarkable Thing, is this fall's Barnes & Noble Book Club selection. Discussions will be held nationwide at all B&N stores on Wednesday, October 24, and B&N will be selling a book club edition of the book featuring an essay by Green and a reading group guide. Coming September 25 from Dutton, An Absolutely Remarkable Thing is the story of a woman named April May, whose discovery of a strange statue leads to instant fame and the start of a much larger mystery. An Absolutely Remarkable Thing is the third B&N Book Club pick. The company held the second book club this past Wednesday to discuss Anne Tyler's Clock Dance. The series began with a discussion of Meg Wolitzer's The Female Persuasion earlier this year. The Women's Media Group has announced its 2018 fellowship recipients: Tahmena Hussain and Aurora Soriano. As this year's fellows, Hussain and Soriano will receive one-on-one mentoring from the organization's members, invitations to WMG programming over the summer and a stipend to help with the cost of living, among other benefits. Hussain, who graduated from the City College of New York with a B.A. in Creative Writing, was on the dean's list in 2016 and interned with the Penguin Young Readers Group after graduation. Soriano, meanwhile, is enrolled in the City College of New York's Publishing Certificate Program and is an English Honors student. She is joining the children's department of McIntosh & Otis this summer. Miral Sattar, co-president of WMG, said: "We look forward to mentoring and working with these outstanding young women and we hope to contribute to more diversity in the book industry by welcoming them into our community." The WMG Fellowship was created to support young women of color who are interested in publishing careers. In selecting fellowship recipients, the WMG has partnered in recent years with Retha Power, assistant director of the Publishing Certificate Program at the City College of New York. Fletch by Gregory Mcdonald (Blackstone), the Edgar Award-winning first book in the Fletch series, reissued in paperback with a simultaneous audio edition, narrated by Dan John Miller. Fresh Air repeat: David Sedaris, author of Theft by Finding: Diaries 1977-2002 (Back Bay Books, $17.99, 9780316154734). MSNBC's Live with Alex Witt: Rick Wilson, author of Everything Trump Touches Dies: A Republican Strategist Gets Real About the Worst President Ever (Free Press, $27, 9781982103125). NPR's Weekend Edition: David Quammen, author of The Tangled Tree: A Radical New History of Life (Simon & Schuster, $30, 9781476776620). Meet the Press: Omarosa Manigault Newman, author of Unhinged: An Insider's Account of the Trump White House (Gallery, $28, 9781982109707). NPR's Weekend Edition: David Joy, author of The Line That Held Us (Putnam, $27, 9780399574221). Joe Sacksteder, author of the novel Driftless Quintet, has won the fifth annual Nicholas Schaffner Award for Music in Literature. 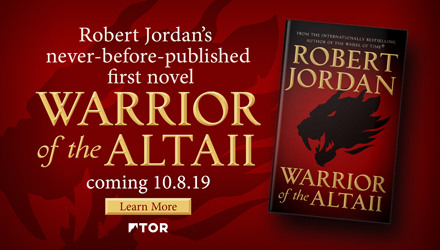 As a result, the book will be published by Schaffner Press in October 2019. The award is presented annually to a work of fiction, nonfiction or poetry that deals in some way with the subject of music and its influence, and it celebrates the life of publisher Tim Schaffner's brother Nicholas, who was a poet, musician, biographer and music critic. Schaffner commented: "Driftless Quintet is an ominous, genre-bending story set in hockey country that brings elements of a coming-of-age novel, a sports story and the movie Get Out, all with a compelling underscore of classical music." Sacksteder is a Ph.D. candidate at the University of Utah, where he is managing editor of Quarterly West. His debut story collection, Make/Shift, is forthcoming from Sarabande Books, and his album of sound collages, Fugitive Traces, is available from Punctum Books. His writing has appeared in such publications as Ninth Letter, Salt Hill, Denver Quarterly, the Rumpus and the Literary Review. He is also a visiting instructor of fiction and non-fiction at Interlochen Arts Academy in Michigan. AJ Pearce grew up in Hampshire, England, and studied at the University of Sussex and Northwestern University. A chance discovery of a 1939 women's magazine became the inspiration for her first novel, Dear Mrs. Bird (Scribner, July 3, 2018). She lives in the south of England. 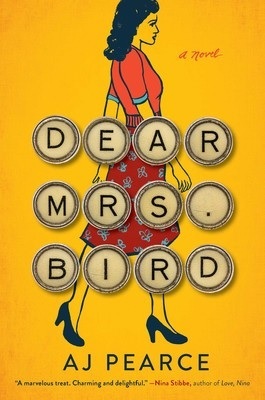 I'm writing the sequel to Dear Mrs. Bird, so most of my reading is either nonfiction research, or novels written in the 1930s and '40s. I've just read Martha Gellhorn's The Face of War, which is obviously superb, and at the other end of the scale I always have wartime cookery books that I pick up to see what everyone was eating. And I'm reading Old Baggage by Lissa Evans, which has just been published in the U.K. It is set in 1928 and is funny and moving, and an absolute masterclass in characterisation. I was horse mad when I was young, and as I couldn't have one of my own I was a compulsive reader of pony novels. I read dozens by the Pullein-Thompson sisters (Josephine, Diana and Christine) and Ruby Ferguson. That's probably where I learnt that books are a way of living in another world. That's really hard! I feel I should be down the pub discussing this over gin and crisps. I'm going to say D.E. 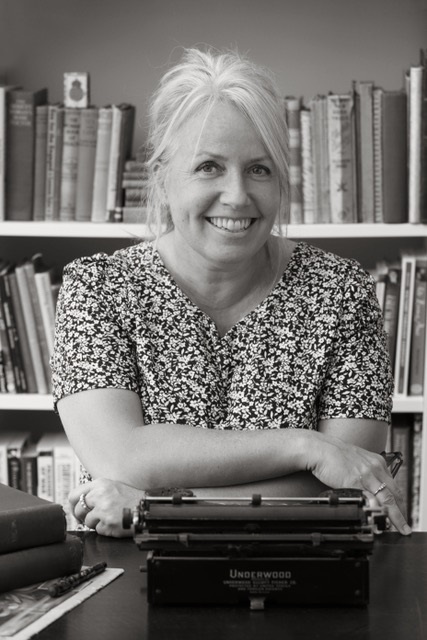 Stevenson, Angela Thirkell, Joyce Dennys, Elizabeth Wein, Fredrik Backman and Katie Fforde. All incredible, for many different reasons. I am hoping no one will notice I've put six. Umberto Eco's The Name of the Rose. I remember carrying it around at college in an attempt to look deep, while secretly reading Alexander Dumas novels instead. I more or less insisted everyone I knew read A Man Called Ove by Fredrik Backman because it made me so happy, and I felt passionately that it would do the same for them (which, of course, it did). And for the last year I haven't stopped talking about Gail Honeyman's joyous Eleanor Oliphant Is Completely Fine. I also tell anyone looking for a children's book about Morag Hood, who is brilliant. Her books are funny and clever and kind. Colin and Lee, Carrot and Pea is about two very different vegetables who are best friends. Everyone should read it. And Nadia Shireen's Billy and the Beast is equally wonderful. I would love Billy and her sidekick Fatcat to have their own animated TV series. I buy far too many books about gardens and houses based entirely on lovely covers! In terms of novels, I remember buying Pure by Andrew Miller because the (U.K.) cover was so beautiful. Sepia and turquoise with gold embossing, and very dramatic. I loved the novel itself, too. It's hard to pick just one, but I think perhaps Winifred Watson's Miss Pettigrew Lives for a Day. It has the most exquisite lightness of touch and it made me want to discover more authors from that era. Without me realizing at the time, they all became hugely influential in how and what I wanted to write. "For she was one of those who loved life, not because it was beautiful, but because it was life." -- from Virginia by Ellen Glasgow. It's almost a throwaway comment about a minor character, but you could write an entire novel from that one line. Most modern books I can replace, but I have several bound volumes of magazines going back to the 1890s that are almost irreplaceable. They aren't valuable as no one else is very interested in them, but I am. And an 1,100-page, 1939 Army & Navy Stores hardcover catalogue that I use for research. I realise this makes me sound an absolute geek! It gives details of which days the Army & Navy vans came down from London to make deliveries in my village. I rather like that. The Boy in the Striped Pyjamas by John Boyne. Actually, I would like anyone who hasn't read it to read it for the first time. The election of Donald Trump helped expose the fault lines separating Americans who inhabit different regions and economic strata. But long before class was a subject of newspaper columns, it was fundamental to Sarah Smarsh's life. 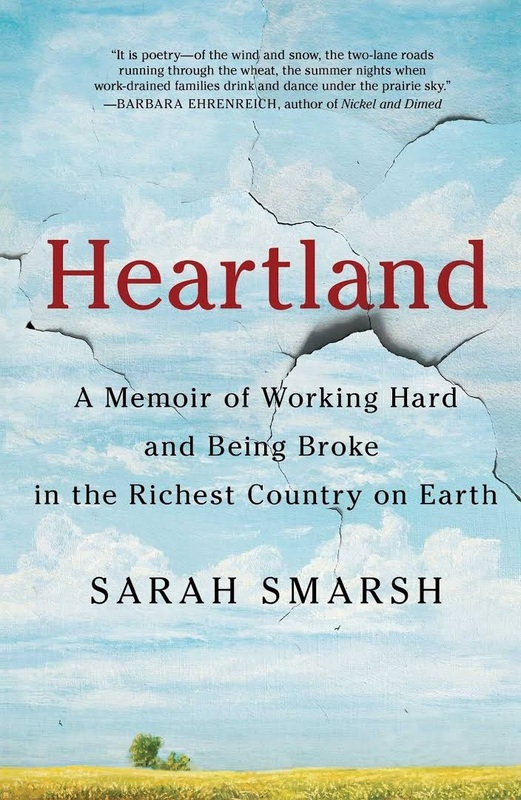 Smarsh, a fifth-generation Kansas farm girl who comes from a long line of teenage moms, explores her family's experience and her struggle both to honor and escape her roots in her first memoir, Heartland. She addresses her book to an audience of one: August, an entity imagined as the baby Smarsh did not end up having when she was a teenager. As the daughter and granddaughter of women who became mothers during their teens--and the recipient of their complex feelings about her existence--Smarsh was determined early on to break that cycle. Though she moved more than 20 times during her childhood, she had her sights set on excelling in school, and getting into a good college and out of Kansas. At the same time, she harbored a fierce love for her family, especially the grandparents whose farm was her center of gravity, and a stubborn pride in her hardworking, often overlooked home. Now a journalist, Smarsh delves into the many factors affecting the United States' rural-urban divide: the "Reaganomics" policies of the 1980s, the rise of industrialized agriculture, the decline or disappearance of many industries that had long sustained Midwestern communities. She examines the challenges of being both poor and female through the histories of the strong women who raised her: her mother, Jeannie, and her grandmothers, Betty and Teresa. Each of them, including Smarsh, was frequently ignored, undervalued or shamed by systems that permeated American life. In taut, lyrical prose, Smarsh blends personal and economic perspectives to show the challenges faced by the heartland and to insist on the region's dignity and worth. Americans, Smarsh notes, are often defined by how they move: "along highways across big stretches of earth, to the place we think will do right by us, the place we hope we might belong." Her explorations have taken her to the East Coast, but she has returned to Kansas, at least for now. "Most essential to my well-being was the unobstructed freedom of a flat, wide horizon," she writes. "If there was something to get out of, some place or class, in many ways I am still there and perhaps always will be." Shelf Talker: Sarah Smarsh's searingly eloquent memoir explores the challenges and dignity of her rural Midwestern home.